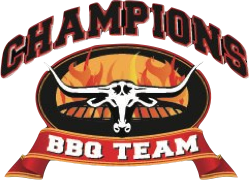 Champions BBQ Team is ready to assist you with all your party and catering needs! Visit our menu page to see our wide selection of BBQ and Grill item including our famous Champion’s steak tips, chicken, salmon, swordfish and more. We even offer Lobster Bake specials that include our steak tips, boneless sirloin or bacon wrapped filet mignon. Champion’s catering is based in Peabody, MA just outside of Boston. We travel throughout Massachusetts and New England to bring you the best in BBQ and Grilled catering. If you’re planning an event, Champion’s Catering has you covered. We can supply everything from tents, tables and chairs to DJ’s and theme parties. Our team goal is to make all your occasions as easy as possible.